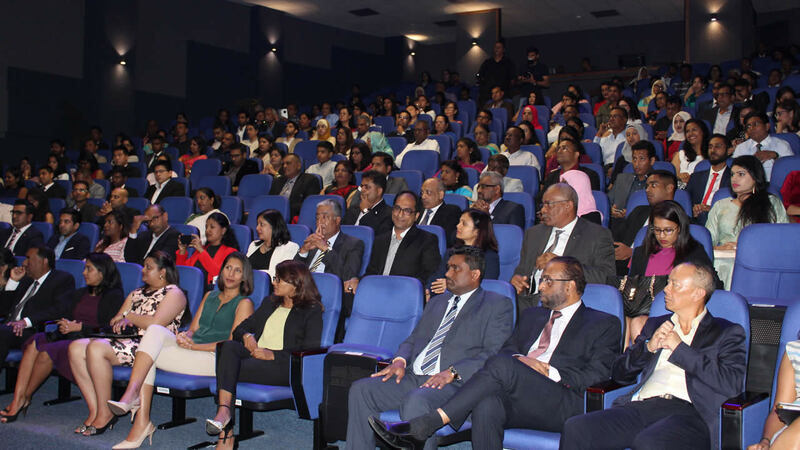 The Association of Chartered Certified Accountants (ACCA) organised an Award ceremony at The Core at Ebene to reward the Mauritian students who obtained the best exam results in September 2017, December 2017, March 2018 and June 2018 on Wednesday 31st October. 69 shields were offered to students who were ranked 1st, 2nd and 3rd at national level or who achieved the best results. Two Mauritians, Keshav China-appadu and Amina Dousoruth, were in the limelight as they both ranked first globally. 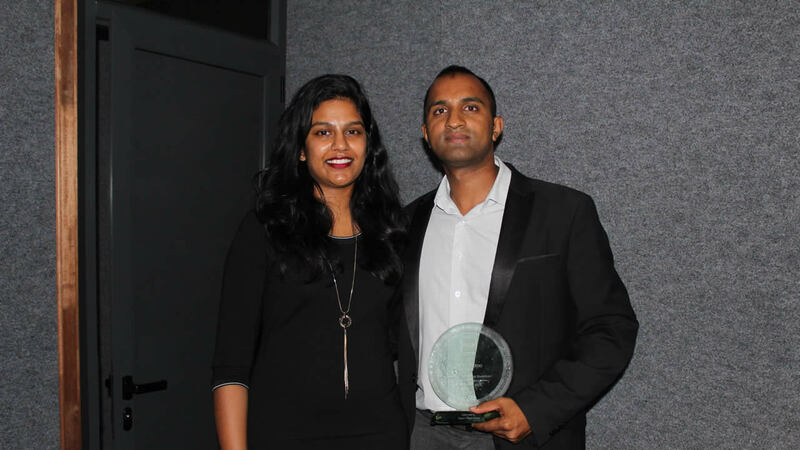 Madhavi Ramdin-Clark, Head of ACCA Mauritius, highly praised the ACCA students who have won good results because of their devotion and hard work. She pointed out that almost 90% of the Mauritian professional accountants are ACCA members. “The curriculum offers comprehensive expertise and opens up opportunities for careers in the higher spheres of finance. The training program is not only limited to technical accounting, but also allows you to acquire other strong knowledge and know the basics of management, finance and others,” she said. Julien Tyack, associate director of the PwC, for his part, chose to give some valuable advices to the prize winners about making the right career choice. “If you want to go into a field where everyone else is going, you might miss the train. There are lots of opportunities in all the fields, but seize the opportunity that that matches your passion,” he advised. Mervin Ittoo with his fiancée Geshini Chinatamby. Accompanied by his fiancée, Mervin Ittoo expresses his happiness at receiving the award for ranking 2nd overall for the September 2017 exam. He is currently the Deputy General Manager at Global Accounting Services. “I feel extremely proud, pleased and grateful. I can’t thank everyone who helped me along this journey enough. It is a lot of hard work that has finally paid off,” said the 26-year-old professional. Mervin highlights the challenges that he faced during his ACCA studies. “The real struggle and sacrifices lie within the four walls of the study room. Constant hard work and an unwavering discipline are the dynamics behind this success today,” he added. More so, the young man confides that ACCA was a stepping a stone for him. “ACCA has opened a lot of doors for me and I will always be grateful for this,” he said. 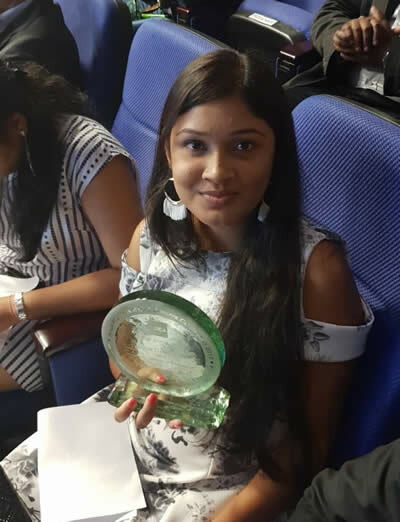 Shristee Dawodharry is currently studying at the University of Mauritius. Feeling enthusiastic about the future career that is awaiting her, she wishes to graduate in finance at the University and then start her career as an accountant in the initial years and later shift to the investment field. “It was not an easy task for me to manage both my studies and ACCA, but with the right dose of time management, one can achieve anything one wants,” she said. 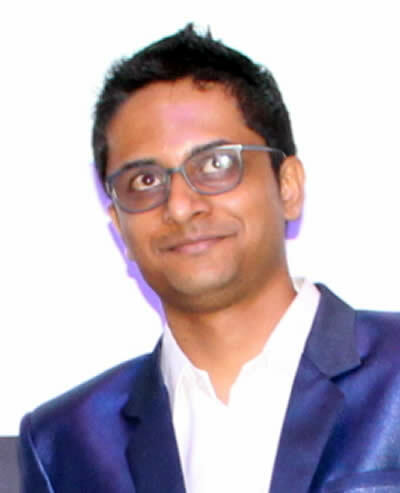 Keshav China-appadu, 24, ranked first worldwide in the paper ‘Advance Financial Management’. 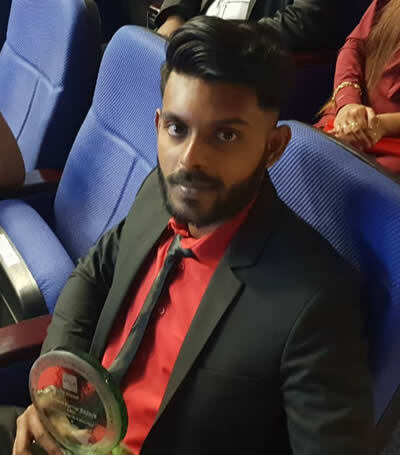 He is currently working as Financial Analyst at Novoterra and is now more optimistic about his career, especially after receiving the award. He is a self-taught student and attended no classes. “This has been possible because of my friends who helped me with notes, especially my friend David. I could not take out time from my work to go to classes,” he admitted. His secrets for success, he revealed, is mastering time management. “If someone is already in a job, it is preponderant to plan long-term to be able to find time to dedicate to your studies,” he recommended. The best thing that helped him in achieving so high globally was the practice of past exam papers. Keshav explained that the more exam papers one practises and self corrects, the more prepared one is to face uncertainty. Nevertheless, Keshav affirmed that it is very important to start preparing for the exam as early as four months earlier. “People think that ACCA is not only about numbers but it’s also about deep analysis of case studies and the language style you use to answer,” said the young professional. He added that one must pay attention to the advices of the examiners and their model answers given in the examiner’s report. “They are the one who assess, so we must try the utmost possible to comply with their instructions if we want to score high marks. It’s also important to avoid committing the same mistakes that students did in the past,” he confided. Though Keshav China-appadu was not aiming to come first worldwide, he achieved high because he gave the best of himself. Being still young, he considered it a golden opportunity to leap forward in his career and acquire more expertise to climb the ladder in his company. For this Financial Analyst, this field of ACCA consists of great opportunities nowadays. Things have evolved during these years and ACCA is not only confined to traditional accounting but has evolved to open to fields like management, consulting and others. For those who do not succeed in their exams in the first sitting, Keshav advised that they must not lose hope. “I think they must review their methods of studying. It is better to study smart rather than for long hours,” he revealed. He knew since the beginning what was expected from him by reviewing the syllabus and then he set to work according to the expectations of the examiners. He thanked his parents, his friends and his girlfriend, who supported him all the way. For Hemant Kumar Badaye, what has pleased him more in the award ceremony is seeing the happy faces of his parents. “My parents are so proud of me today and this affirms loud and clear that every minute I spent in studying was worth it. It is the fruit of my arduous work,” revealed Hemant Kumar, resident of Montagne Blanche. His long-term plan is to obtain his ACCA membership by completing all the papers and obtain the Oxford Brookes degree. Sanjana Jookoo, residing at Central Flacq, was in very high spirits and proud of her achievements. “I was not in the least expecting such good results. I thank my parents, my tutors and my friends who have always believed in my potential and supported me,” she said. She ambitions to finish her ACCA abroad and work either in the field of auditing, investment or accounting. For her, it was very difficult to cope with both university and ACCA simultaneously and even more difficult to excel in both, but the journey was worth it. It was an enthusiastic and energetic young lady that we met during the High Achievers Award ceremony on Wednesday at The Core, Ebene. 23-year-old Amina Bibi Saadya Dousoruth ranks first in the world for the Advanced Audit and Assurance (P7) exams, for which she sat in December 2017. 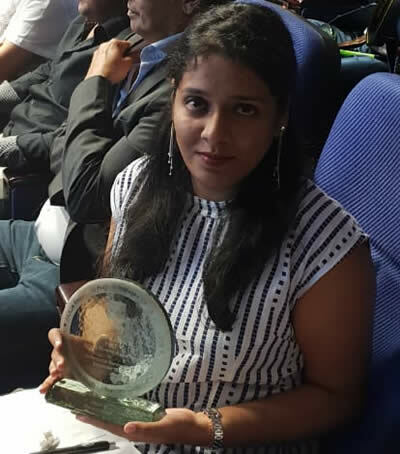 According to the young professional who works for a private company in Black River, it was indeed a big surprise when she came to know that she has topped the list in this paper. “Since childhood, I have developed a profound interest in learning. I like to go through any book that I could lay my hands on. However, either in college or during my ACCA courses, I never set any kind of goal to be among the best in the world in P7. The fact is that I took much pleasure in learning and sitting for the exams without putting any pressure on myself,” she said. Amina Dousoruth confides that it is a good friend of hers who actually announced the “good news” to her family about the achievement earlier this year. “I did not know that I’ve topped the list in this paper. When my friend called and told me about it, it was a big surprise and also a shock. Every ACCA student would tell you that they study for only 50 points, i.e., the pass mark, during all exams. I did the same thing for the P7 without expecting much after that,” she added. In addition to being the world’s best in the Advanced Audit and Assurance paper, Amina Dousoruth reveals, to our great astonishment, that she did not take any courses or private tuition for this exam. “I must admit that it was not easy but I managed to get through by doing a lot of research on the Internet and by reading the manuals. I also bought the BPP Kit and learn everything on my own. After work, I usually practised some past exam papers and do some proper revisions. The key to success is a good balance between our professional and student lives,” she claims. In fact, Amina told us that she finishes work by 7 or 8 p.m. almost every day and after a 30-minute rest, she starts revising while having dinner. 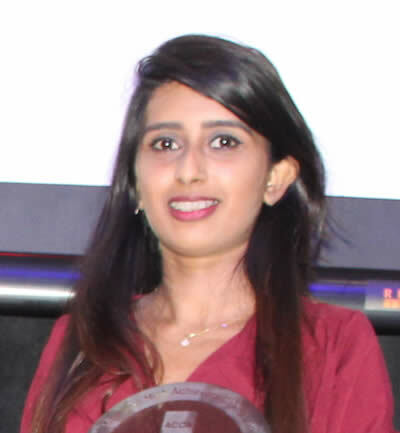 “During my ACCA studies, life was quite hectic but my parents were always very supportive and helped me in various ways,” she said. Being an ACCA qualified professional, Amina Dousoruth is very confident about the future. She reveals that she wants to work for herself as “life in an office” does not suit her “carefree attitude.” “I will take my time to think about what I would do in the future but it won’t be happening in an office,” she concluded, amused.